Sometimes, when you do well in school you get a gold star. This particular school takes that notion in an almost literal way. Shaped like a star, the layout of the school does a couple of cool things. Each radiant point houses a grade levels or two, each sporting its own design character as well as age-appropriate sizing. At the same time, grouping the shared and special functions by the centre creates the school unified and creates a strong communal point. 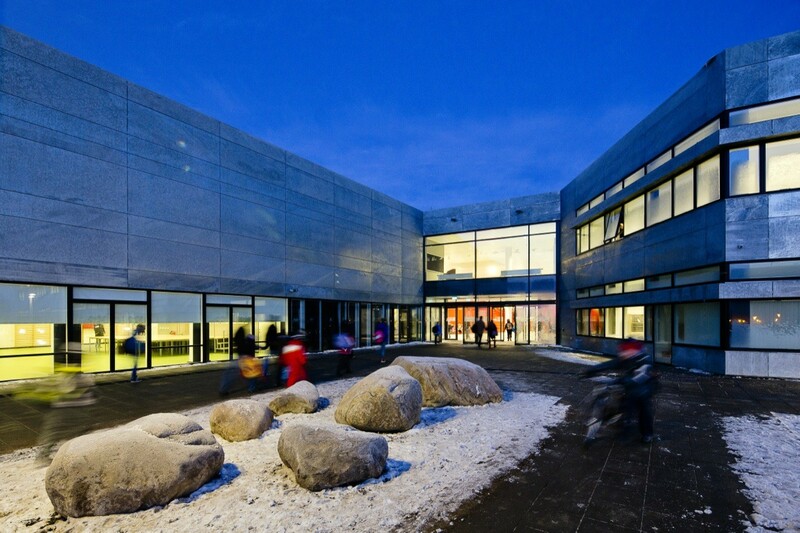 It at the same time allows for separate environments and scale that allow the students to relate to the building and feel safe within, while still allowing the school to be a unified whole through interactions and gatherings in the communal core. And what a core! 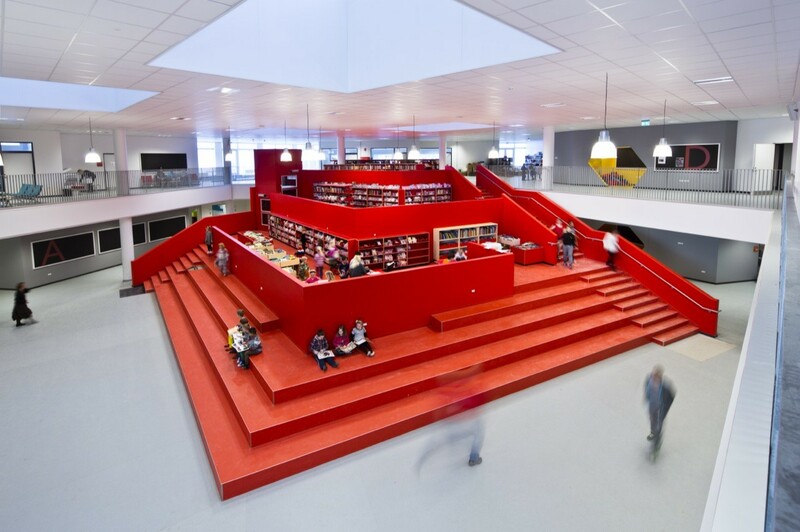 The piece de resistance, the stair and open-air (and deconstructed) library and gallery seating and stage and who knows what else keeps the area alive and engaged with activity throughout the day while also being a powerful and ownable element in its own right. The angled nature of each of the wings means that there’s no hallways per se; things are wide enough that the circulation can serve double duty as seminar and collaboration space. And if that wasn’t enough, the place is littered with smaller rooms and nooks and all sorts of great spaces for students to gather and do work or just socialize. Wait… is that… a nook with a literal PIT of LEGO? (Well, I guess it is in Denmark) Man… I love this school even more now. As a bonus, check out those wicked and very fun conceptual drawings of the building! Compared to many of the institutional and staid schools that abound, this is a design that aims to make an engaging and delightful place for the students and teachers who spend so many hours there. 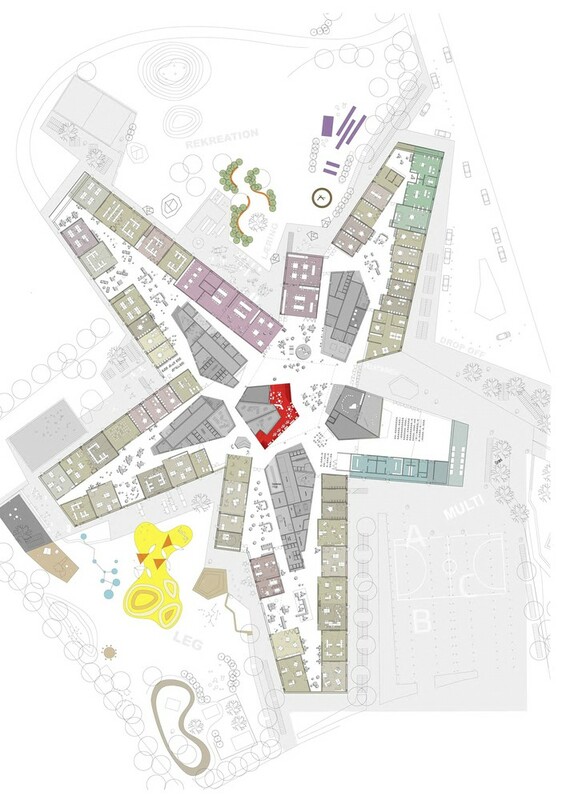 Plus its design is geared towards natural ventilation, full of light, covered in solar panels, and aims outward towards playgrounds and parks and trails leading into the surrounding neighborhood. Splendidly done.